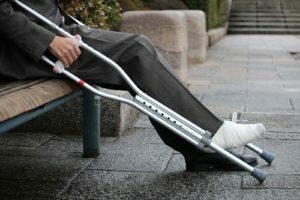 Home > News & Resources > Can I File a Valid Personal Injury Claim for a Gym Injury in Charlotte, N.C.? Can I File a Valid Personal Injury Claim for a Gym Injury in Charlotte, N.C.? If you have been injured in any Charlotte gym or physical fitness environment, whether it was a yoga center, a fitness club, or any exercise facility, you may be wondering if you will be able to recover compensation through a Charlotte, North Carolina, personal injury claim. There are many ways that a person can become injured while working out, or even become ill through contact with an unsanitary surface. Yet, filing a personal injury claim to recover compensation for your injuries can be a complicated process. In some cases, you may not be able to recover any compensation at all, regardless of how much evidence you have. This is because there is a good chance that you signed a liability waiver when you first started working out at the given facility. This waiver can cover a broad range of possibilities when it comes to injuries that may occur on the Charlotte gym property, and it can be challenging to get around that waiver. In many cases, it is not possible to do so. There are some cases, however, in which you will be able to successfully recover compensation for a Charlotte gym injury, despite the waiver. You need to understand what you agreed to when you signed the waiver, what the language of the waiver covers, and what circumstances may allow you to recover compensation after an injury at the gym. What Does Your Charlotte, North Carolina, Gym Liability Waiver Say? Contact personal injury lawyers Brown Moore Law today! Before you can start working out in any gym environment, you are likely to be required to sign a contract and a liability waiver with that gym. The liability waiver will usually include legal language that you may or may not fully understand (assuming that you even read it, as many do not). The gist of the waiver is that you cannot hold the gym owner accountable for any injuries that may occur. This means you can’t file a personal injury claim or any other legal action against the gym. Because there are so many other things to sign when you join a gym or sign up for an exercise class, many people completely miss the waiver and don’t know what they have signed. The gym may even intentionally hide the waiver in a stack of forms that involve locker assignment, key deposits, and other agreements and warnings. They are also not likely to make a point of going over the agreements that you’re signing. If they do, they will probably gloss over it. In most cases, they won’t say anything more than, ‘Sign here, initial here, and sign here and here.’ You are likely to walk away not understanding what you’ve signed. The wisest course of action is to read everything before you sign it, but this is a lesson that many people learn the hard way. Even those who know that they should do so and who actually do this can easily fail to understand everything or get lost in the legal jargon. The best advice we can give here is to request a copy of the liability waiver to take home with you and look it over before you sign it and agree to its terms. Many people walk into a gym ready to get started, and they don’t want to take time to review the documents at their leisure and ensure that they know to what they are agreeing. Again, this is often a mistake that is learned the hard way. Another problem is that you can refuse to sign the waiver, but this will mean that you can’t join the gym. Many people would rather sign away their rights just to be able to join. There are some situations where you may have an exception to the gym liability waiver. If you have been injured in a gym environment, then you would be wise to discuss your injury with Charlotte, North Carolina, personal injury attorney to find out if you do have a legal leg to stand on in terms of recovering compensation for the injury in spite of the waiver. Some examples of cases where this may apply include situations where the language of the waiver is vague or ambiguous or cases where gross negligence on the part of the gym is what caused the injury. If the liability waiver that you signed included vague or ambiguous language, then the waiver can be rejected by the court, so that you can file a personal injury claim. To figure out if this applies to your case, read the waiver that you signed and see if it is easy to understand. If the language is confusing or does not specify the rights that you are relinquishing in a way that the average person could understand, then you just might be able to get the liability waiver set aside. If gross negligence caused your injury, then you may be able to pursue a personal injury claim in spite of the liability waiver. Gross negligence refers to any reckless disregard for your safety, any blatant violation of your rights, and any intentional or careless actions that would be expected to cause injury. If you are injured at the gym, you need to seek immediate medical attention to address your injuries. This will ensure that your get prompt treatment to prevent those injuries from growing worse. It will also ensure that you are able to prove that the injury occurred when and how you claim it did. You also need to alert the gym employees or management of the injury. They will then fill out an incident report, and you can request a copy. It is also a good idea to take photographs of your injuries and any hazards or broken machinery that may have caused the injuries. If there are witnesses, get their contact information. You can request the insurance information of the gym, but they may not give it to you. From there, you should contact a Charlotte, North Carolina, personal injury attorney to learn more about your rights, your options, and whether or not you have a claim. The attorneys at Brown Moore & Associates will provide a free consultation to discuss your likelihood of successfully pursuing a claim.